The prime minister expressed grief over the death of people due to the heavy rain in Tamil Nadu over the last few days. Nine people died across the state due to the recent spell of heavy rain. 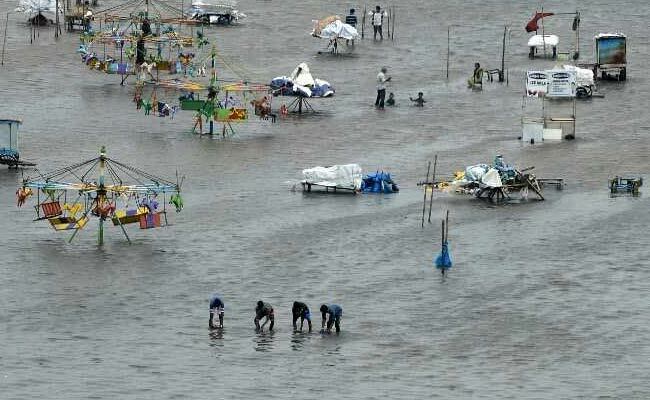 Chennai: Prime Minister Narendra Modi today assured all assistance to rain-ravaged Tamil Nadu in tackling the fallout of the heavy downpour in the capital and some districts, including Kancheepuram and Tiruvallur. PM Modi also asked the media to have healthy competition and urged them to take extra effort to maintain credibility. "I assure all possible support to the Tamil Nadu government to tackle the situation due to rains," PM Modi said at a function to celebrate the 75th anniversary celebrations of Tamil daily Dina Thanthi. Talking about the media, he said, they must have healthy competition and urged them to take extra effort to maintain credibility. "Editorial freedom must be used wisely in public interest," he said. It should ensured that the freedom to write and decide should not include the freedom to be "factually incorrect". During his address at the Madras University Auditorium, Prime Minister Modi mourned the death of senior journalist and general secretary of the Madras Union of Journalists R Mohan, 54, who died following a heart attack yesterday. PM Modi was received by Governor Banwarilal Purohit, Chief Minister E Palaniswami and Deputy Chief Minister O Panneerselvam at the Chennai airport from where he proceeded to INS Adyar by helicopter. Tight security was in place in view of the prime minister's visit.